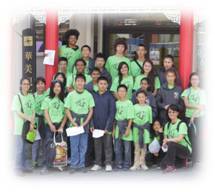 The Mandarin Institute in collaboration with the San Francisco Unified School District (SFUSD) and STARTALK will offer a unique opportunity for Bay Area Middle and High School students with 1-3 years of formal Chinese study to immerse themselves in a culturally rich and academically intensive Mandarin program. The instruction is task-based and student-centered. An immersion and multi-sensory language environment will be created to maximize the students’ exposure to Chinese language and culture. 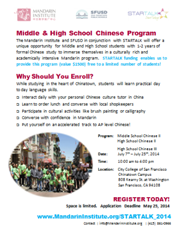 Students can register for Level II (Similar to 2nd semester first year SFUSD Chinese) or Level III (Similar to 2nd year SFUSD Chinese). Tuition: Free for a limited number of students. $1500 value. 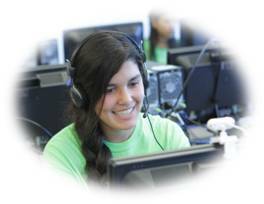 Priority registration for applicants who have financial considerations. To get priority registration you must complete the application form and provide your most recent tax filing W-2 and/or 1099. 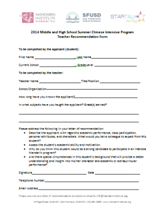 ALL Middle and High School students are welcome to apply. This includes incoming middle and high school students. Applications are accepted based on date received and availability. The STARTALK Award lets us offer this program tuition free (a $1500 value) to a limited number of students. STARTALK is a component program of the National Security Language Initiative (NSLI) which seeks to expand and improve the teaching and learning of strategically important world languages that are not now widely taught in the US. STARTALK’s mission is to increase the number of Americans learning, speaking, and teaching critical need foreign languages by offering students (K–16) and teachers of these languages creative and engaging summer experiences that strive to exemplify best practices in language education and in language teacher development, forming an extensive community of practice that seeks continuous improvement in such criteria as outcomes-driven program design, standards-based curriculum planning, learner-centered approaches, excellence in selection and development of materials, and meaningful assessment of outcomes.